Many international marine insurers, faced with mounting losses, have decided on closer inspections of risky commercial ships and on depriving some of them of hull insurance. Coming in the wake of the worst year for casualties for bulk and combination carriers, this strategy is part of a plan to be phased in by members of the Institute of London Underwriters (ILU) and Lloyd's of London, the institutions that comprise most of the worldwide marine insurance market. Representing both the institute and marine underwriters at Lloyd's, the Joint Hull Committee has introduced a structural condition warranty that will require owners to carry out a survey of their vessels within a specified time before insurance cover can be renewed. Roger Nixon, chairman of the Joint Hull Committee, said underwriters can insist on the warranty at their discretion. The panel proposed no hard and fast rules about when an owner might be asked to conduct the extra survey. 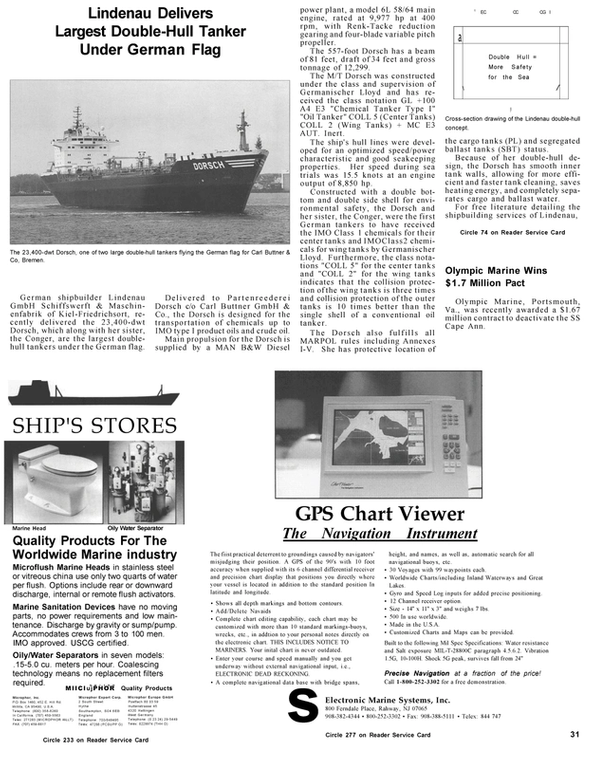 Mr.Nixon said tankers and bulk carriers more than 12 years old probably should undergo the new inspection. He advised insurers to check all vessels more than 15 years old. The ILU, meanwhile, warned that double-hull tankers probably will be liable to higher insurance premiums because of the dangers of gas building up between the two hulls.